Today in Masonic History Burton Lee French is born in 1875. Burton Lee French was an American politician. French was born in Carroll County, Indiana on August 1st, 1875. For the first few years of his life his family moved around the western part of the country. At the age of five they moved to Kearney, Nebraska. Two years after that they moved Princeton, Idaho after a short stay in San Francisco, California. A year after that they moved to Palouse, Washington. During this time, French was attending public schools and graduated in 1891. Two years later, in 1893, he entered the University of Idaho at Moscow. He interrupted his studies to teach school in Kendrick and Juliaetta, Idaho. In 1898, French was elected to the Idaho State Legislature. It was during this time that he returned to school and graduated from the University of Idaho in 1901. From 1901 to 1903 he was a fellow at the University of Chicago in political science and studied law. In 1902, he left the Idaho State Legislature. He was admitted to the Bar in 1903 and began practicing law in Idaho. It was also in 1902, at the age of 27, that French was elected to the United States House of Representatives. 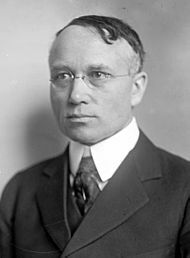 He served in the House until 1933, although what seat in the House he held changed over the years. When French first entered Congress, Idaho had only one at large district. In 1911 a second at large district was added. By 1919, there were Congressional districts in Idaho and French was elected to serve from the 1st Congressional District. French passed away on September 12th, 1954. French was a member of Kendrick Lodge No. 26 in Kendrick, Idaho. In 1909 he demitted from the lodge to affiliate with Paradise Lodge No. 17 in Moscow, Idaho. He was a member of Paradise Lodge until the time of passing.